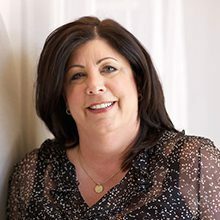 Lisa Lennard began her California Closets career in 1998 as a design consultant for the Orange County, CA franchise before joining the corporate team in 2002. During her tenure with the corporate office, Lisa initiated the company’s first eLearning center, as well as created closet designs for advertisements and marketing materials. As Vice President of Operational Technology, she also facilitated the development of business management software applications for the franchise system, all of which are still actively used today. Prior to her current role, she served as the General Manager of the Santa Barbara & Central Coast franchise, stewarding the company’s transition to a new, consolidated manufacturing business model.